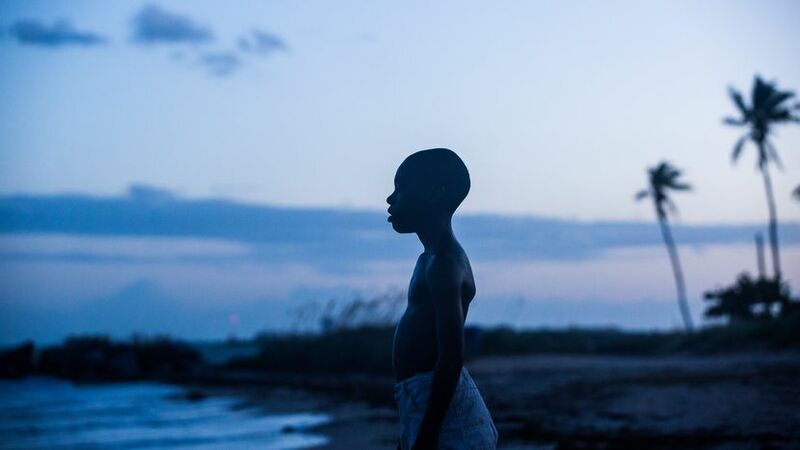 The most critically acclaimed film of the year is a triptych tale about a black boy who grows up in Miami. Writer-director Barry Jenkins sets his coming of age tale in a dangerous world with fragility overwhelmed by the threats of a poisoned environment. The result is a film of sensitivity that feels suppressed by hate and gives a sense that our lead character, Chiron, is missing his life. We see his world in brief chapters as a young boy (Alex Hibbert), a teenager (Ashton Sanders), and a man (Trevante Rhodes). As a kid and teen he grapples with being gay in an environment of hyper masculinity. Early on he befriends a wealthy and helpful man, Juan (Mahershala Ali), who spends much of his time in the city, but lives in a beautiful home in the suburbs. He's a crack dealer, and is the first sign in Moonlight that identity is built externally, and in this environment, perhaps as a necessity. The camera is restless, but calm in it's rendering of this lived in world. There's a sense that the camera could start following any of the peripheral characters and they'd have an important story worth watching. 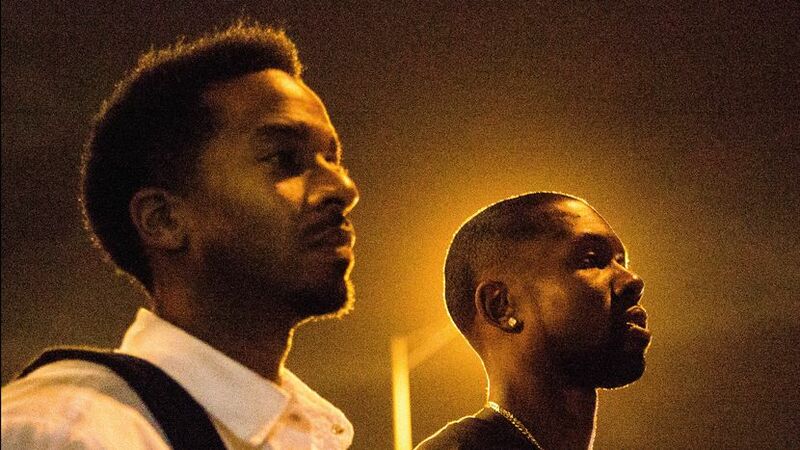 There have been multiple articles labeling this the "gay black movie" in the same way that Brokeback Mountain was tagged the “gay cowboy movie.” Such labels are generalizing click bait and it doesn't dig into what this film's really exploring. Chiron, first nicknamed "little," and in adulthood self named as "black," is a Rorschach character, an amoeba of a person. As "little" he rarely speaks, and in his first sexual encounter with another teen, a friend named Kevin, he reacts hesitantly and confused. Chiron is nearly mute, but the actors convey his desire to connect with someone in a language he doesn't know how to speak. In the jump to manhood he's taken on clichés of masculinity seen in his youth (a reconstruction and shell of Juan) and what occasionally drifted into a series of short films begins to take shape. Performance has become Chiron's identity, and in the third chapter the suffocation of his environment becomes overwhelming. The changing of actors is a bit jarring because they look nothing alike, but that adds to the thematic idea of a person's external appearance and behavior as their constructed social identity. The audience has to reorient themselves to not only Chiron's growth as a character, but the new actor as well. It's almost a meta-text about actors crafting an identity through performance and appearance. The film’s aesthetic has a naturalistic, but dreamy quality, as if an even older Chiron than we see in the film is remembering it. This is important because we don't really know who this character is, and neither does he. We've seen his life's most intimate moments but for a coming of age story he never comes to a realization or understanding of himself, and that's the point. That doesn't exist. For me, the central relationship with the other boy, Kevin, is underdeveloped, which made the final section that puts all it's eggs in that basket, a bit cold. The approach is too calmly reserved to let the weight of Chiron's life lost emotionally hit, but perhaps that distance works as a larger thematic point about repression. 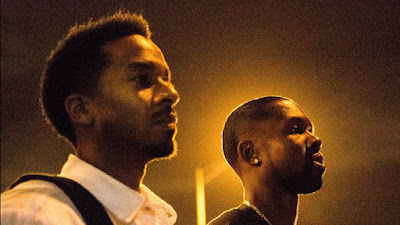 Moonlight asks, in the guise of manhood, what is identity: sexually, emotionally, and mentally? It's a morphing shape hidden behind layers of performance. The three chapters coalesce in the final minutes and Jenkins, without words, articulates a life lost but finally accepted. It’s a well-made, passionate film that touches greatness when it enters moments of dreams and memories that are like astral projections submerged in soundtrack and color. For these brief moments we get a second of understanding into whom Chiron is. Maybe that's the closest we can get.